Ronald J. Faloona, 71 years young, long time Glenview resident, passed away August 24, 2010. Ron was born on Nov. 2, 1938, in Chicago, Illinois. Beloved husband of Aline and son-in-law of Isabelle; loving father of Fred (Priscilla), Deirdre, Ian (Justine), Ryan and Audrey; proud grandpa of Amber, Brianna, and Antonio; genial uncle, family member and friend. 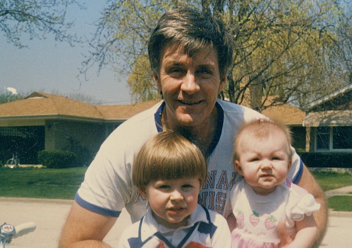 After receiving a Master's Degree in Physical Education, Ron devoted his life to teaching physical education and serving as an athletic director in the Chicago Public Schools, Northeastern Illinois University, and Robert Morris University.